With evidence such as rising temperatures, warming oceans, shrinking ice sheets, and extreme weather events noticeable worldwide it is apparent that climate change is affecting the ecosystem. With climate change green energy becomes increasingly relevant. Luckily, with today’s technology we have the benefit of energy efficient developments, like a programmable thermostat, energy efficient HVAC, attic blankets and fans, solar tubes for lighting, and tankless water heaters to make your home more energy efficient. The U.S Department of Energy has developed a national rating system, called the Home Energy Score. The score reflects your home’s energy efficiency based on the structure, heating, cooling, and hot water systems. 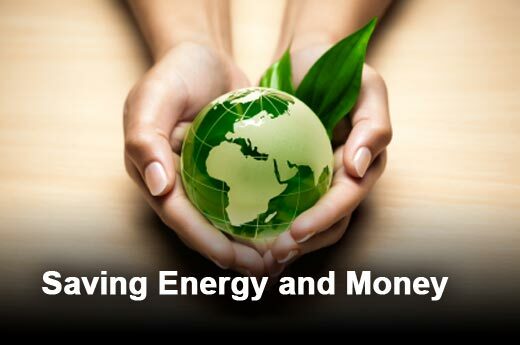 Consider making your home more energy efficient and save energy, more money, and be environment friendly. Delcor has the professionals to assist you make your home more energy efficient! Give us a call for a free estimate. All Content Copyright © 2019 Delcor Inc. Powered by Viamark.